Foreign subtitling is a highly specialised field, and one that is seeing constant growth and development with the explosion of online video content and new regulations coming into place around video on demand content. Anyone working within the translation sector knows that good translation is an art form. It’s impossible to mechanically translate precisely from one language to another. There are just too many syntactical and cultural differences between languages to allow for a word for word translation. When working with documents, making decisions on what words to use, what structures to retain and what elements to localise is tough, but add a video requiring highly accurate timings (to 1/100th of a second) to the mix and it’s a whole new ball game. (Editor's note: Need more background on subtitling? This is a good overview.). 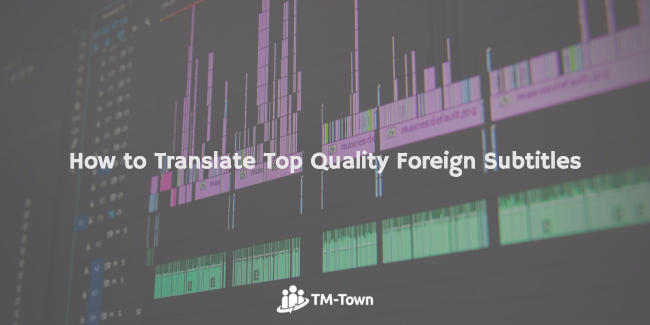 We’re looking at the key quality checks that subtitle translators should make when translating top quality foreign subtitles. Most clients will have guidelines from their video service provider on line length requirements. There can be significant differences on line length expectations from client to client, usually anywhere between 25 and 55 characters. The most commonly used subtitle or closed caption character limit in the video production industry is 42, so if you’re unsure, consider using this as standard. When working on translating foreign subtitles, it’s important to remember that some languages are typically more word or character heavy than others. For instance, if you are working from English to Chinese subtitles, lines may be shortened from the original .srt file. Similarly, if you are translating English subtitles into German, lines may become up to 50% longer, and timings may have to be amended to keep the video and captions in sync. Subtitle lines don’t often come as full sentences. They are usually broken up into small, manageable chunks and split according to the best syntax in the source language. As any good freelance translator knows, languages can differ greatly in the structural composition of sentences. When translating a document, it’s often the case that a translator will make choices which change some of the arrangement of words and even whole clauses. When it comes to foreign subtitles, however, the structural differences between languages can cause some issues. For instance, in almost all foreign videos, you will likely find universal or recognisable words or phrases within the foreign speech. When translating subtitles, if the translated caption is restructured too much, it may move too far away from a recognisable word or name, making the subtitles appear to be out of sync. Reading speed is really important when it comes to both English and foreign subtitles. Subtitles aren’t much use if they disappear from the screen so quickly that the viewer doesn’t have a chance to read them. Professional subtitling and closed captioning software is expensive but should provide a feature to set a limit on reading speed (usually around 250 words per minute maximum). It’s worth browsing around, but free software online doesn’t usually have these features. Encoding is really important when it comes to subtitles. Saving with the wrong coding selected can cause characters to display incorrectly, read as complete gibberish or worst of all, as a long series of question marks! Professional software such as WINCAPS or SWIFT will give the subtitle writer the option to select a language and automatically save in the write format. Free or inexpensive software, on the other hand, may not allow for this option and instead, the coding will need to be input manually. For this reason, when working in writing and translating foreign subtitles, it’s crucial to know the difference between the different options and which is applicable to you. E.g. ANSI or UTF-8. Closed captions and some subtitles should include forced narrative (writing that displays onscreen with the video). This is standard practice when it comes to English subtitles but is absolutely crucial when using subtitles to translate a video from one language to another. Forgetting to translate forced narrative can deprive foreign audiences of important information, and missing this out as a subtitle translator could get you a bad reputation. Whilst some clients won’t specify formatting requirements in terms of font or the visual aesthetics of their subtitles, it’s good practice to set your own standards. If you are creating .srt files that will be passed onto a client who will deal with adding them onto their videos, you won’t need to consider placement or formatting options as these are not available for basic .srt files. However, if your client requires you to burn the subtitles onto their foreign video, you will need to take care to make good placement and formatting choices. This includes: appropriate use of bold and italics; colour changes where requested to denote different speakers; placement changes to avoid clashing onscreen text or reading difficulty and use of background colours or the use of pop-on or roll-up subtitling. Jodene Antoniou is Co-Director at Capital Captions, a subtitling and transcription company founded in 2017. The company aims to promote and ensure the provision of high quality, accurate subtitles for foreign audiences and hard of hearing viewers across the world. 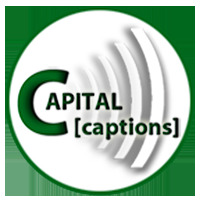 They offer high quality closed captioning services, subtitling and transcription for both English and foreign languages, working with broadcasters, VoD service providers, vloggers, websites and companies across the globe. France Posted almost 2 years ago. I think the subtitling industry has a LOT of work to do. When you listen to difficult dialogue, even in your own native language, you miss things. Most subtitling agencies want a native target speaker in order to produce a flowing text but that same subtitler will struggle more with the audio in the source language. The agencies don't want to use a two person work flow, thinking it will be more expensive so the subtitlers are left to struggle with all kinds of things such as unusual accents, names of persons and places, simultaneous dialogue etc. Hence longer delivery times with more errors and [inaudible}. India Posted almost 2 years ago. It's a great article. You have covered almost everything here, related to subtitle translation. There is one more thing I would like to add here, as I have to face a problem while doing QA for translated subtitles. Most of the time, I come across with subtitles where the translators use archaic or medieval words in a current world scenario, which sounds very awkward. This is also true backwards. I think this problem occurs because either the translator is not paying attention or he/she is not native speaker. So, it is essential to depend on the native translators only. Canada Posted almost 2 years ago. Thanks. This is interesting. I would add leaving out repetitions, which the audience can hear anyway, and adapting vocabulary and dialogue to the character and situation, often shortening it. I find 25-word line lengths are better, so one is not too distracted from the image. Two lines may be used then. A change in camera angle or tone can be accompanied by a break using ellipsis dots (...) to reinforce dramatic effect. Avoiding too much culture-specific slang, etc. (e.g. very Brit or very Yank) is helpful too. Québec has led the way in French in both dubbing and subtitling in this regard. I would be nice to see more attention paid to this--even prizes--the way we do with literary translation. It is a very distinct discipline and art that requires an ear for dialogue, preferably with theatrical training and experience. Sorry, I meant 25-CHARACTER line-lengths above. Iran, Islamic Republic Of Posted over 1 year ago. I can subtitle English> Persian and Persian > English videos. Let me do. and I'd like to know how do you rate my video subtitle. Algeria Posted over 1 year ago. This discipline is so much interesting (for me) that I made my Master's thesis about it. As @Nigel Spencer said it has to be given more attention and, why not, rewarded. It's not as easy as it seems. Many obstacles and difficulties make it harder than regular translation. Bosnia And Herzegovina Posted 5 months ago.